afrol News, 17 November - Zimbabwean diamonds worth US$ 160 million have been exported to India following a Kimberley Process certification by a South African businessman, although Zimbabwe diamonds are barred from such certification. In the beginning of November, a high-profiled Kimberley Process meeting in Israel decided that the export ban on Zimbabwean diamonds would not yet be lifted. The Kimberley Process regulates the international diamond trade and especially aims at preventing "blood diamonds" reaching world markets. Zimbabwe had been blacklisted as a diamond exporter last year over systematic human rights abuses in the diamond mining industry and due to the alleged control of President Robert Mugabe's ZANU-PF party of the industry. At the Israel meeting it was noted that, while Zimbabwe had made progress in some areas, further work was still required on key elements including demilitarisation, smuggling and the legalisation of small-scale mining. The plenary discussions on diamonds from Zimbabwe's Marange mining area ended without agreement following four days of negotiations. The discussion to a large degree was based on a report by the Kimberley Process' responsible for monitoring Marange, South African businessman Abbey Chikane. Mr Chikane had earlier been implicated in the arrest of diamond researcher Farai Maguwu, who had played a pivotal role in exposing the rights abuses at Marange. This week, it was known that the same Mr Chikane, still attached to the Kimberley Process, has acted on his own behalf, issuing Kimberley certificates for a large number of Zimbabwean diamonds. According to the pressure group Partnership Africa Canada (PAC), Mr Chikane had returned to Zimbabwe on Friday 12 November and immediately certified all production from two controversial mining concessions, "including millions of stockpiled diamonds." Mr Chikane's actions took place "without the authorisation or sanction of the Kimberley Process," according to PAC. Industry sources had confirmed that the diamonds, worth an estimated US$ 160 million, have already been sold to four Indian buyers. The controversial gems probably already have arrived the Indian state of Gujarat, which now cuts and polishes 90 percent of the world's diamonds. Zimbabwean authorities already after the Israel meeting threatened to openly defy the Kimberley Process and export its diamonds despite the international ban still being in place. Bernard Taylor of PAC says the large-scale export of Zimbabwean diamonds would be "an unprecedented and serious breach of Kimberley Process standards." He urged Kimberley Process members to send "a clear and unified message to Zimbabwe that they will not accept these illegal exports. The entire credibility of the Kimberley Process as a mechanism to stop the trade of conflict diamonds is on the line." "The Kimberley Process is at a crossroads. Either we unite in the face of such blatant disregard for the rules, or we allow ourselves to be bullied into irrelevance," added Nadim Kara of PAC. "Zimbabwe must operate within the Kimberley Process, or the diamond industry will go back to the anarchy and chaos of the 1990s." 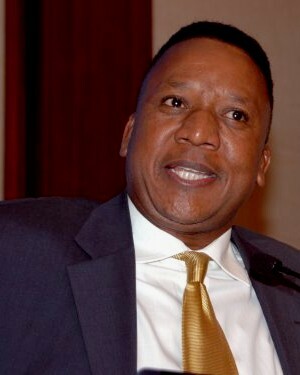 The pressure group demanded the Kimberley Process to "nullify the certificates Mr Chikane issued and notify all diamond trading countries that any shipments would be in violation of Kimberley Process standards."